New guests can be elusive. They slip in and out of your church’s doors so fast, it’s like they’re covered in Crisco. I’ll bet your assumption is that you have far more visitors than you know of, and you bang your head against your desk wishing there was a better system for connecting with them. In my time consulting churches, I’ve noticed there are four effective, but often overlooked, ways to make a personal connection. 1. Make sure they know you’re expecting them. This is probably the easiest step we can take in connecting with them, but it’s dramatically underutilized in many churches. Create a unique parking area for them: Use signs to direct new guests to a certain part of your parking lot or ask them to turn on their flashers so your team can better direct them. Design a unique first time guest entry: Create a single door that your team can direct new guests through so that they can be welcomed by a team who is prepared to answer questions and even give them a tour. Give them something to carry as soon as you can: This is less about them and more about you. Whatever they are carrying, whether it’s a bag, coffee mug, etc. should be an indicator for everyone else your team that this person is a new guest and should be warmly welcomed and helped. Welcome them from stage at the beginning of your service: Many churches miss this. A simple welcome and a brief explanation of what they can expect in service can go a long way to alleviating their anxiety about being in a new place. I believe this will even make them more open to hearing about Jesus. 2. Capture their information, but be prepared to offer something in return. Information is now transactional in our culture. With our fear of data breaches, big brother, and invasion of privacy we no longer give our information or thoughts away freely. Start by asking yourself what would compel them to share their information: A bumper sticker with your church logo or your worship bands newest worship album probably isn’t going to interest them. Offer a contribution to a local charity for every new guest card completed: Most people want to do good and be a part of an organization that does good. 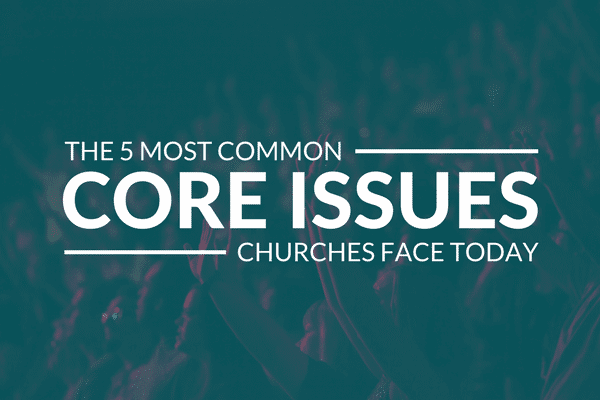 This allows them to feel like they’ve made a contribution and communicates something about your values as a church. Give them a gift they will actually use: Will they really use the keychain with the scripture on it? It’s unlikely. What about $10 to Starbucks or a local custom doughnut shop? Don’t go cheap—it shows how little you value their information: What is the ability to follow up with a new guest worth to you? People know when a product is quality or not. If you skimp on the gift, they’re likely to believe your desire to connect wasn’t all that important to you. Aren’t you more likely to return somewhere if you know that your presence is wanted? Make a compelling ask for them to return at the end of your service: Many churches miss the opportunity to close their service with an invitation to come back. Make your invitation compelling. Why would they want to come back? Help them understand why they should. If you want to reach more people, start by just getting them to return: Gary McIntosh and Charles Arn write in their book, What Every Pastor Should Know, that 60 percent of people who return to your church for a third time will remain a part of your church. The most critical first steps for new guests are just to keep coming back. 4. Have clear, easy on ramps for early engagement. If the next steps of involvement are simple and easy, people are going to be more engaged. Make sure you have easy first steps for new guests: Do you have a clearly defined discipleship pathway? Can you easily communicate to new guests what their first steps are? If their early engagement requires them to be somewhere at multiple times over multiple days it will be hard to get them to commit. Plan your first steps around their schedule: Don’t expect them to show up for a class at a time that’s inconvenient for them. If their first step is at a time that’s on a work day or interferes with family commitments, you’re less likely to effectively connect with them. Don’t lean only on teaching… most will return because of relationships: Many churches create first step environment solely based on teaching basics of faith or sharing information about the church. People are more likely to connect at your church long term if you create environments where they can develop relationships. Make sure they know the next steps after the first step: After they take their first step, don’t miss the opportunity to clearly communicate the opportunities for another step. How well are you connecting with new guests? Are you confident you’re engaging with most of them, or is your sense that many come and go and never take a step? What is it worth to you to increase the chance that your new guest will turn into long term disciple? Our online course, Leading an Unstuck Church Course, dives into this in a few of the lessons. From opening the front door to closing the back door to developing a discipleship path, the course walks you through practical steps to help you better engage your guests. Explore the 12 lessons and what a few people had to say about it here.